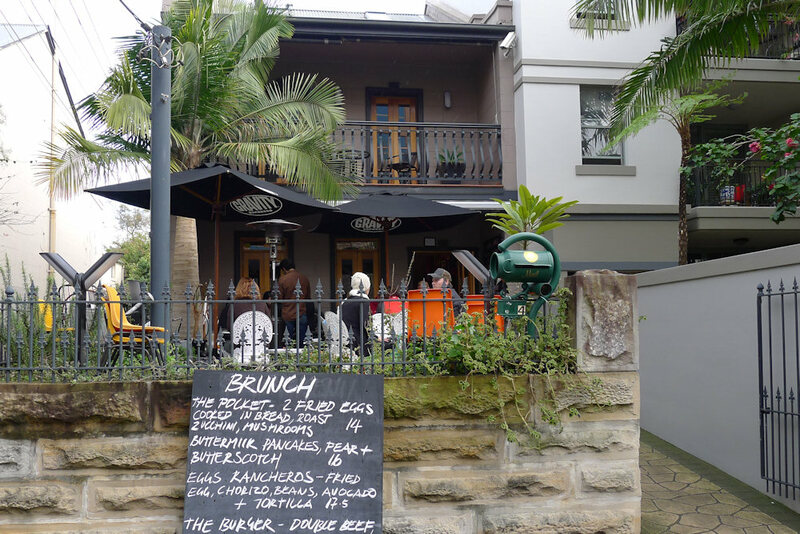 We heard the Fern is a great place to come for breakfast but is it up to the Sydney on Sunday team’s standards? You bet! We are continually wowed this morning as delicious drinks make way for sumptuous meals. It’s so warm and cosy inside we don’t want to leave! This is one of the first cafés that has come this close to full marks on the SOS radar. 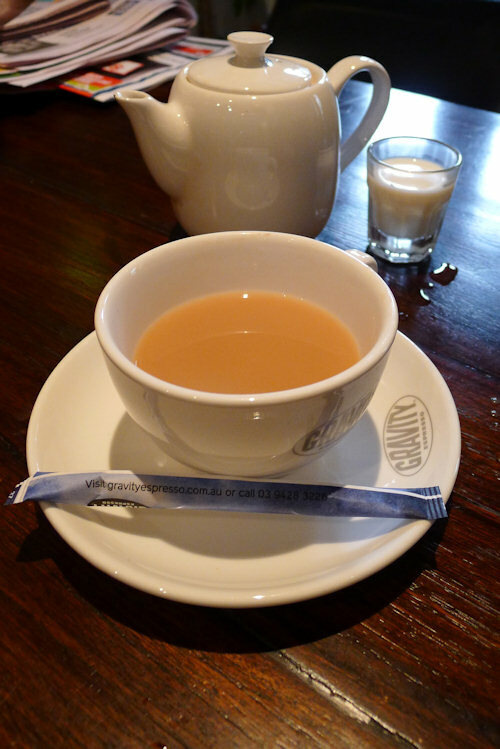 The English Breakfast tea was hot and brewed perfectly. A good start to the morning. 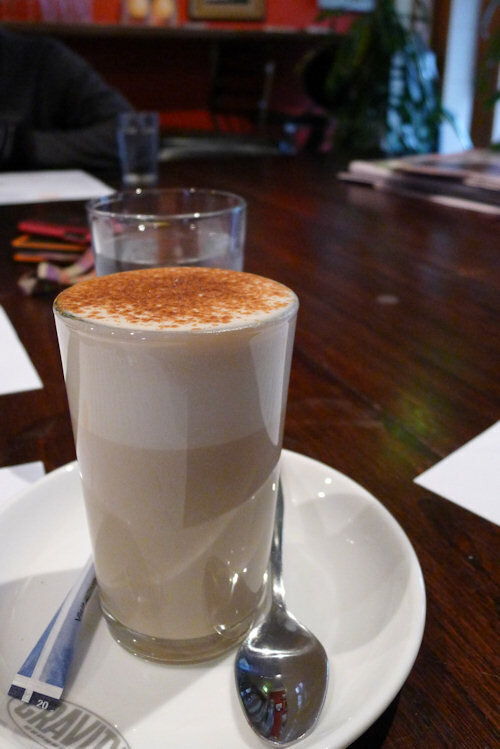 We smell the cinnamon and spices of the soy chai before it arrives. It’s served in a tall and delicate glass and tastes great. The blend of choice at The Fern is Gravity and they brew it to perfection. 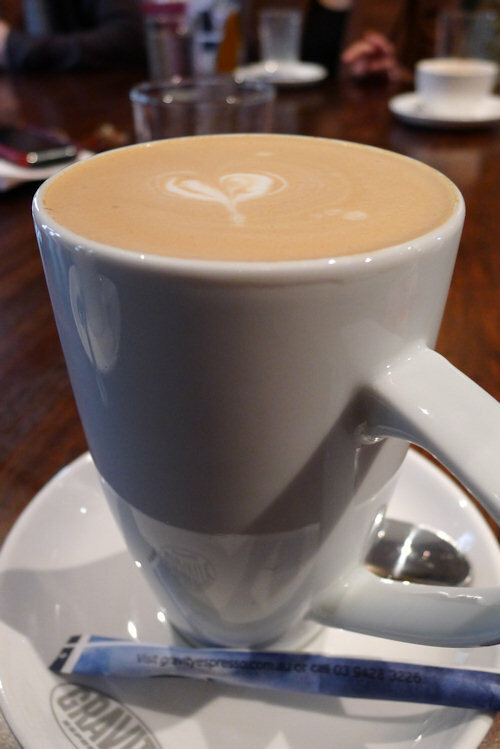 Our flat white is a standout amongst other cafés in the area. The large skim cappuccino is so good we order another. Without a drinks menu available, we ask what other beverages are on offer. Dane requests a chocolate shake and is elated when a large, chunky glass of chocolate orange milkshake comes his way. It is packed with ice cream and a strong orange flavour that reminds him of Terry’s chocolate orange. 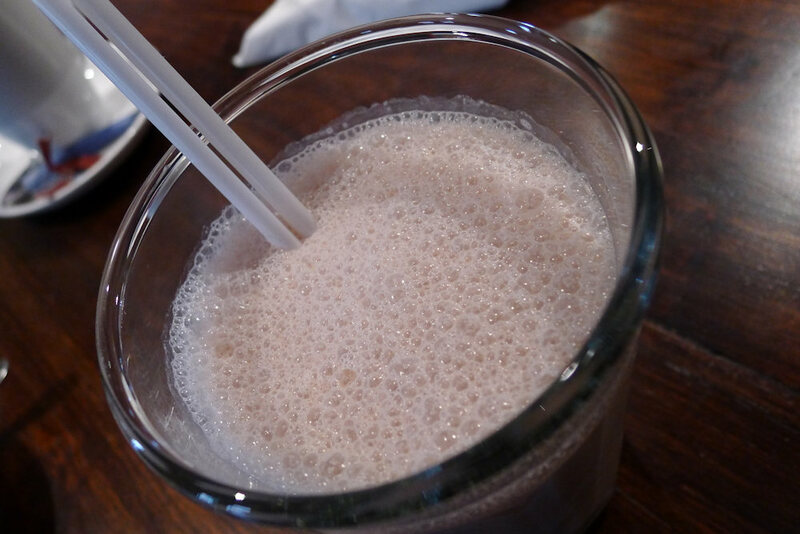 If you’re milkshake lover, don’t miss this! 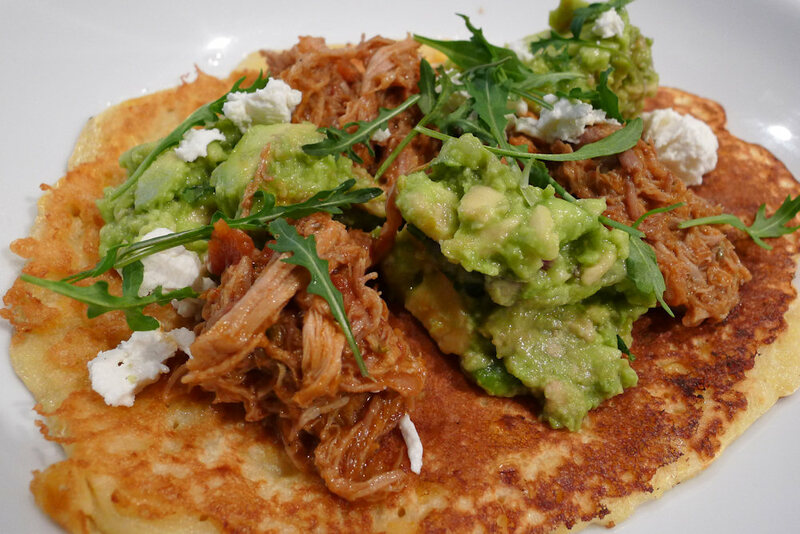 Our guest says the corn fritter ($17.50) avocado salsa, goats cheese and pulled pork is “freaking delicious”. It’s an original dish for a brunch menu and perfect for a Sunday morning. The pulled pork is soft, flavoursome and smokey. Hooray for something unique and tasty. April can’t go past The Pocket ($14) which is two eggs fried in thick bread. 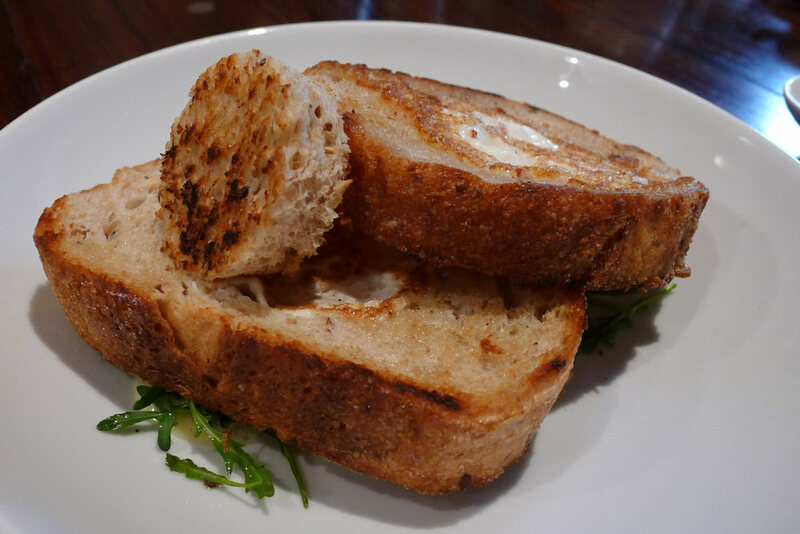 It’s a sophisticated version of her childhood favourite ‘egg-in-bread’ and is cooked just the right amount. Orange yolk oozes out when it’s cut and drizzles onto cubed pieces of roast zucchini, mushroom and apple hidden underneath. At the base of the dish is a delicious mustard sauce and some rocket. We share this dish among two and then split a sweet dessert too. Our gluten intolerant guest doesn’t have much to choose from so goes for the poached eggs ($7) normally served with toast, but she added avocado ($2.50) instead. 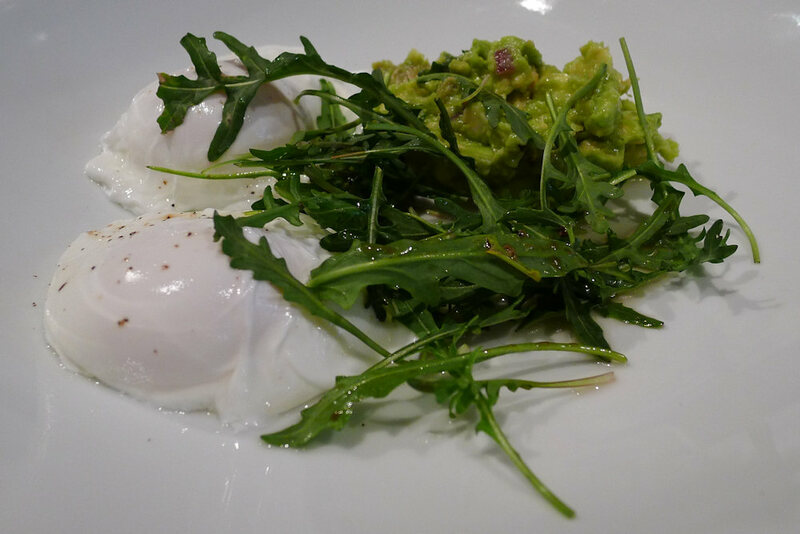 We half expected eggs dumped on a plate however they arrive under a layer of delicately seasoned rocket. Oh Lord how we wish we could be eating this again! If you’re bold enough to name a dish after your café and, by association, the suburb, it better be up to scratch. 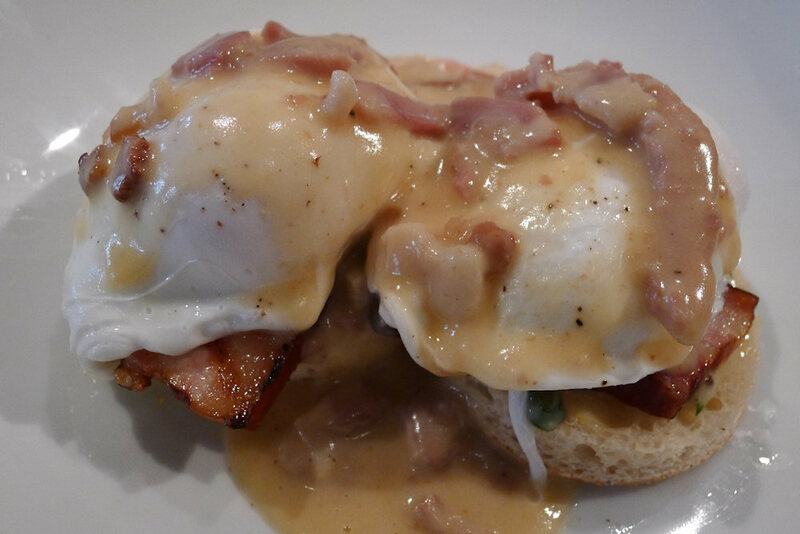 Fern’s benedict ($16) once again brings the café’s pork-expertise to the table with a rendition of Benedict that we have never heard of before. Out with the petty slivers of ham and in with thick slices of smoked pork belly nestling underneath the perfectly poached eggs. Douse the dish with bacon gravy and you have one of the most outrageously delectable and evil dishes we have ever tried. The duo who devoured The Pocket also order the pancakes ($16). They make everyone at the table jealous and kindly offer taste tests. The pear and butterscotch go together nicely and there is a sweet crumbly biscuit sprinkled on top. We asked to share the dish and expected 2 plates brought out with the dish. Instead the pancakes are separate and dressed to impress. We appreciate the thought. Thanks chef! 2-4-1 cocktail Sundays, comfy interiors, a heated terrace, gorgeous artwork on the walls, bold coffee, Mad magazine wallpaper, friendly staff… that sums up The Fern. They’re open for dinner Thursday to Saturday, closing at 10pm. Check their dinner menu, it looks awesome http://www.thefern.com.au/#!dinner. We leave the café with Dane still wrestling with the idea of ordering The burger ($17) with double beef patties, bacon, cheese and fries. We doubt he can tackle it after a huge breakfast and milkshake so we’ll have to come back and try it next time. Yum! I tried the poached eggs, but now wish I’d gone for the Fern Benedict! Good excuse to go back, I suppose! You’re kidding. I went here and the food was well below current Sydney brunch standards. Baked beans from a tin, and poorly conceived and executed dishes generally. 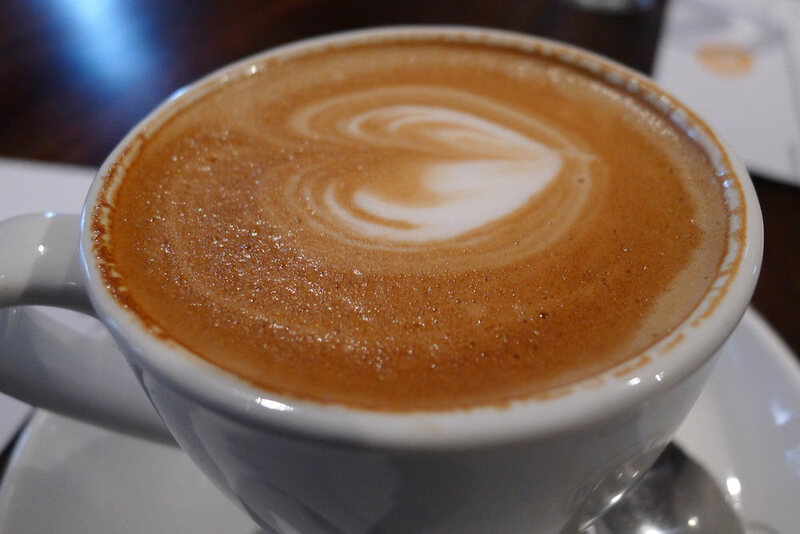 The coffee was sensational, though – and good service. Well at least you found some good points, Tim. We literally couldn’t stop complimenting the food as we ate it! Be sure to keep trying other locations and let us know your favourites. We’re always looking for places we haven’t explored yet. I agree. I dont get The Fern. After all the fuss we diverted from our usual Sunday Cafe faves and found the Rancheros Eggs something out of the 90’s. Our BLT, with all the extra’s was ‘petite’ in size. We were their early & one of 4 tables. The staff were great; interior trying abit hard & lacking something. I cant see that our experience was unusual & I get thhat everyone’s excited to discover edgy Redfern but these raving reviews are totaly misleading. We thoroughly enjoyed all of our dishes however didn’t try the BLT or Rancheros. I personally thought that the Fern Benedict was incredibly tasty. 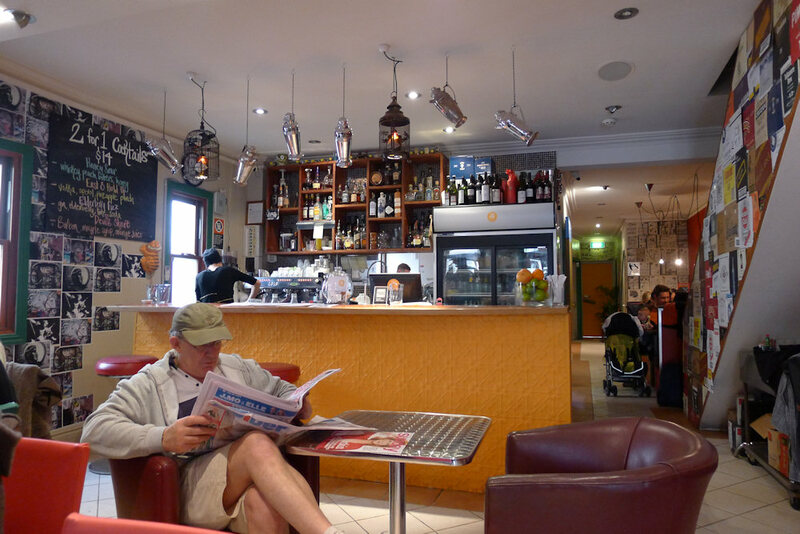 Perhaps try Baffi & Mo, just round the corner for another great breakfast spot. I visit this cafe regularly but have been blown away in the rescent month by the change of menu (and also its presentation). The hangover #2 so by far my favourite, havent had breakfast as good as that in years!! I urge those of you who have been disapointed to go back and try one of the new/improved dishes… or at least one of their delicious coffees.